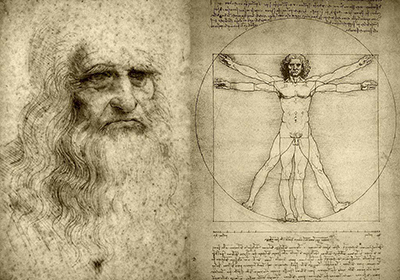 The Mystery of Da Vinci SmartHunt® is a themed adventurous race based on the genius of Leonardo Da Vinci and concepts made popular in the book and movie, The Da Vinci Code. In our secular version, teams are sent on a quest, armed with iPads and our customized app, in search of the code to unlock the secrets of the cryptex. Teams must decipher a series of cryptic clues to learn the whereabouts of numerous hidden locations. Upon arrival to these locations, participants will be confronted with an intriguing cerebral or physical team challenge. Successful completion earns teams a correct password to earn credit, letters of the cryptex code, and a mysterious object. Once teams unravel all clues and earn the letters of the secret cryptex code, they return to the ending location to unlock the cryptex and retrieve the “scroll” hidden inside. However, their mission is not complete as the “scroll” unlocks another set of instructions. 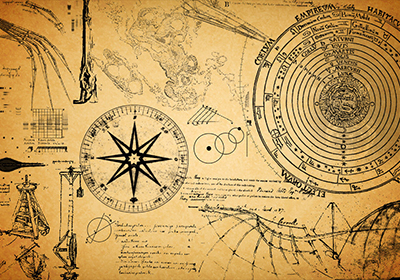 In the spirit of Leonardo Da Vinci, revered for his technological ingenuity, teams have limited time to build an innovative device out of the mysterious objects collected throughout the hunt. They will then enter their finished device into the final competition. During this concluding challenge, a slideshow capturing team experiences during the quest will be played on the big screen. A final computation of the points earned is conducted before the winning team is recognized and presented with a well-deserved token of their accomplishment. After the event a secure link to a private webpage will be sent, containing all photos and videos shot by your group. The page also includes a professional highlight video that will be provided two weeks post event date.